Loupe for Business offers visual solutions for commercial spaces. 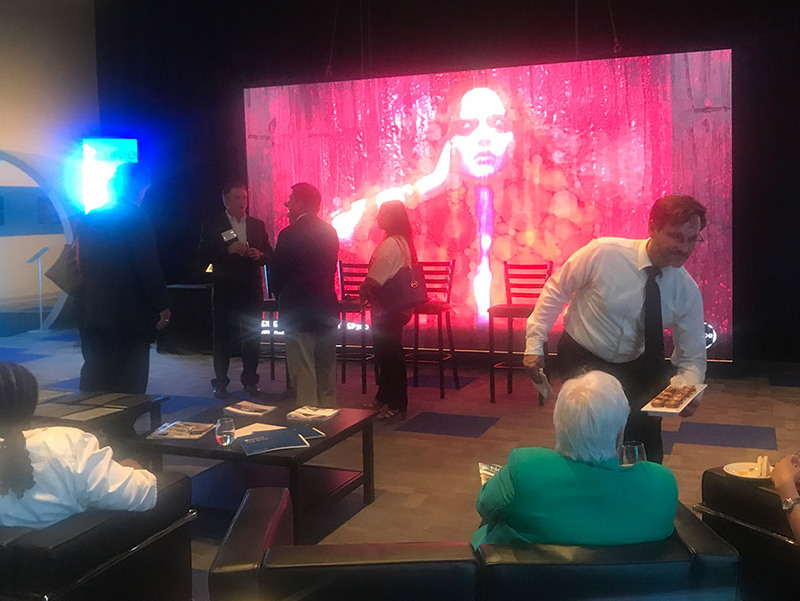 Focused art programming defines how your guests remember you — shapes moods, calms nerves, offers inspiration — a catalyst enhancing the atmosphere, driving sales, and encouraging repeat business. We recognize the importance of your company's art identity — blending medium, style, mood, tempo, even “Stream by Color” and “Safe Stream” (artwork safe for family) elements to produce on-brand levels of comfort, excitement, edge and elegance. Drive down costs of any art program with an art streaming experience tailored to your audience, regularly refreshed from Loupe's ever-expanding art catalog. Integrate the Loupe web player for public display on hi-resolution TVs or LED displays with any of the professionally-curated art playlists available on our global platform. We work closely with your marketing and IT teams to assess the visual and technical needs of the space and existing displays to develop a cost-effective solution. A single license can be accessed on multiple screens at your location. Loupe web streaming integrates seamlessly into most CMS software; offline playback via mp4 files also available for your existing media player if reliable wifi not available. 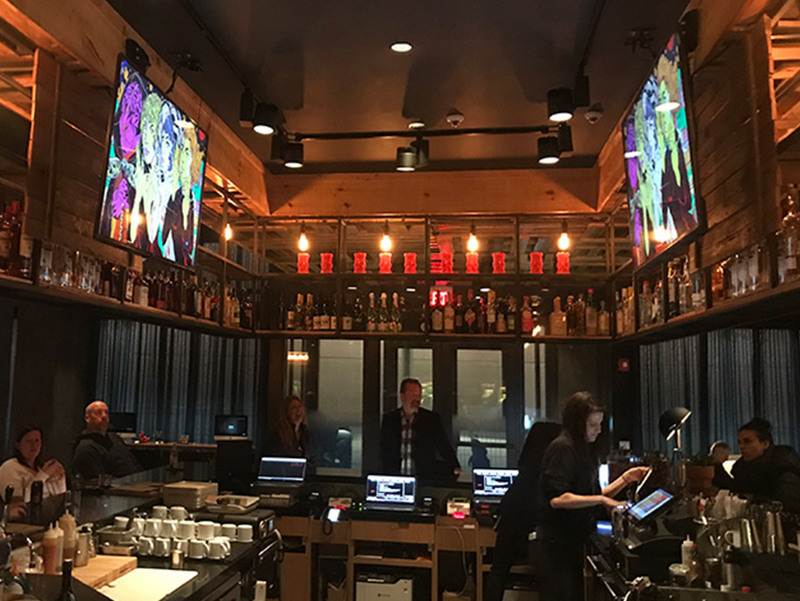 Customize your visual installation with a Loupe Private Channel. Site-specific content is accessed with your own Loupe Business login for your retail location, office, commercial lobby, hotel, event space, online community and more. 4K Content is available to Loupe Business customers. We work with your team to create a unique art-centric brand visualization playlist for entirely one-of-a-kind experiences. Your custom curated Private Channel can intersperse brand messaging and other site-specific content, all designed with the ability to quickly refresh content as needed. The collection of art is delivered complete with the opportunity for visitors to take home a “souvenir" fine art print or select originals of artwork they experience. 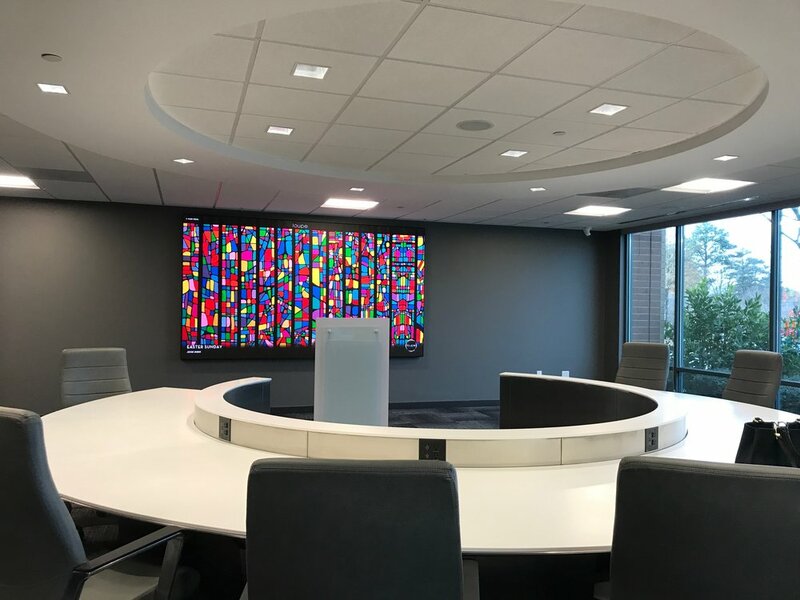 Loupe now offers curation services and delivery of extraordinary motion artwork that may be custom-designed & formatted to elevate commercial interiors. Motion art is at the forefront of visual and environmental design. When integrated seamlessly with your LED panels, TVs, or other screens, expertly crafted motion artwork create a newsworthy visual story. Commissions are available of original digital motion artwork content, exclusive to your space. Once created, your custom curated collection can be shared around the world on our global distribution platform. We offer brands who have a commitment to the arts the opportunity to underwrite a guest-curated art collection as a LOUPE® Featured Gallery on Apple TV, Amazon Fire, Android TV and web streaming. oUR WORK - LONDON TO LAS VEGAS! an Access Code to use the enterprise Loupe app optimized for your displays.